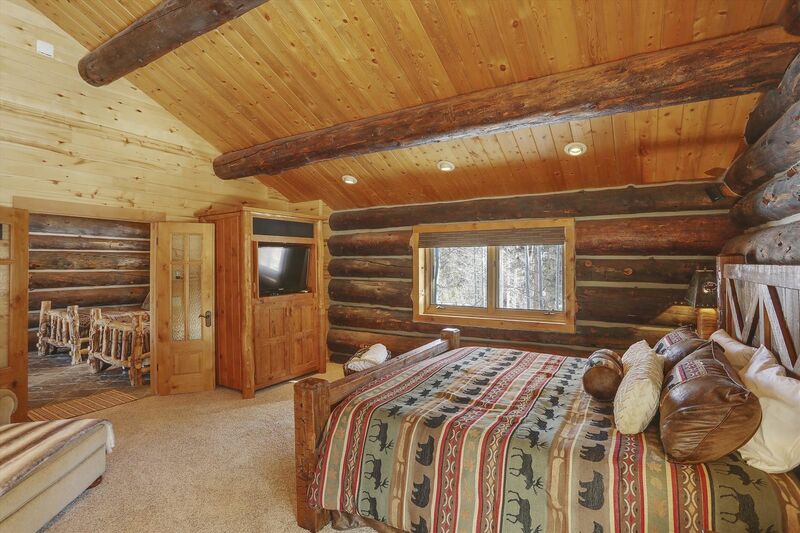 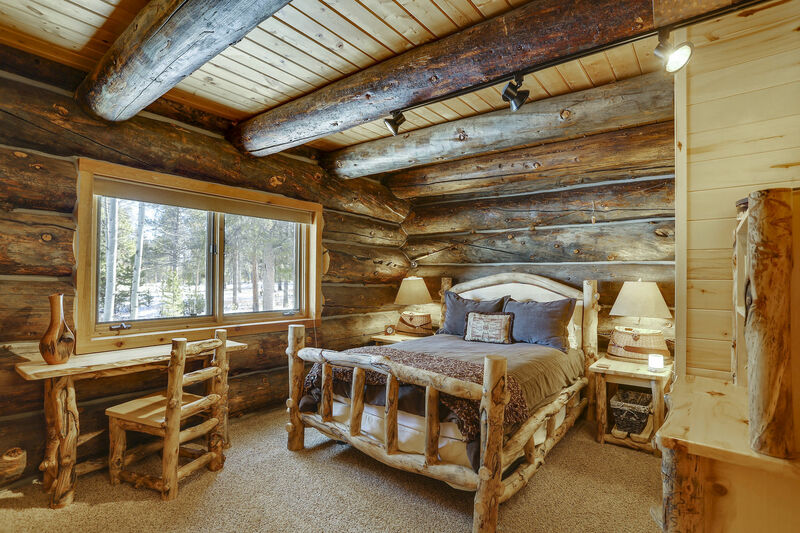 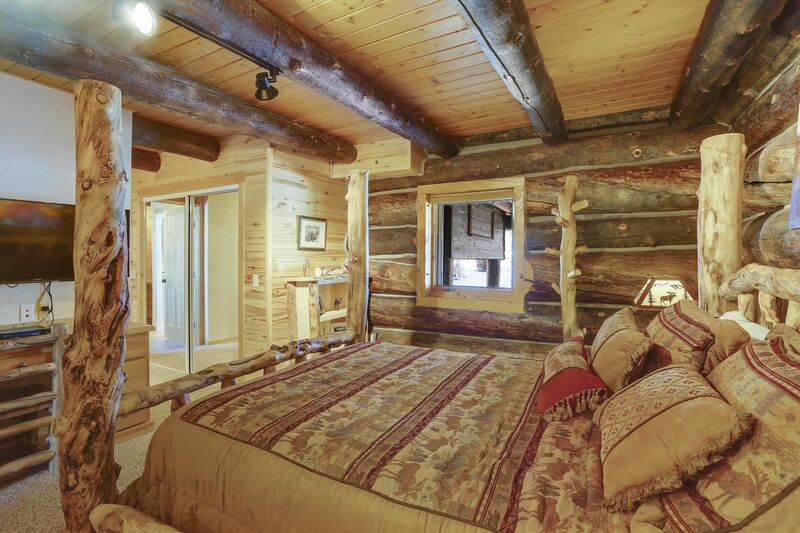 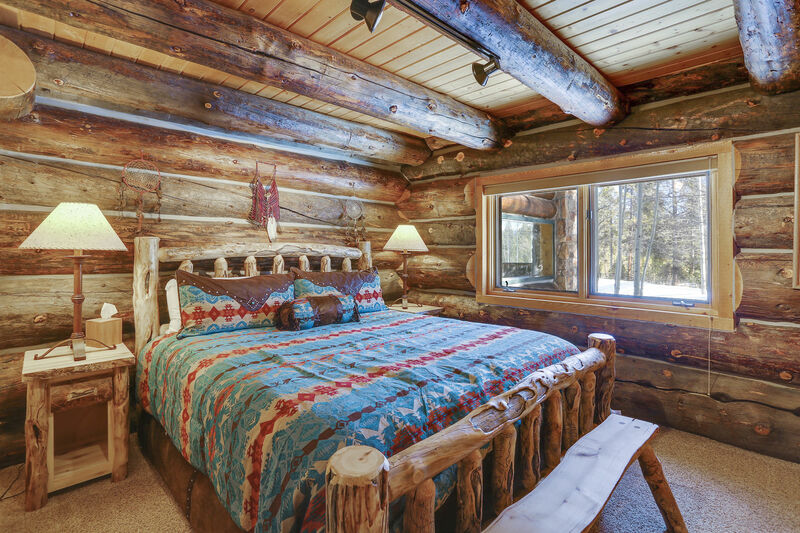 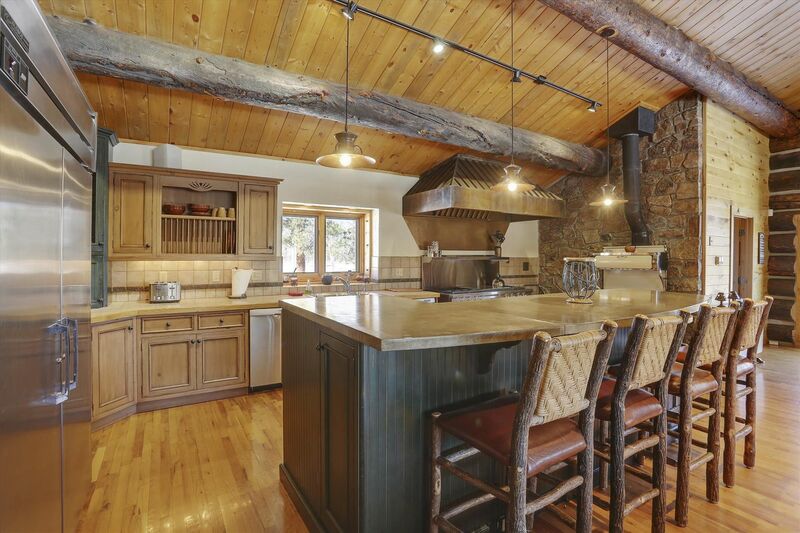 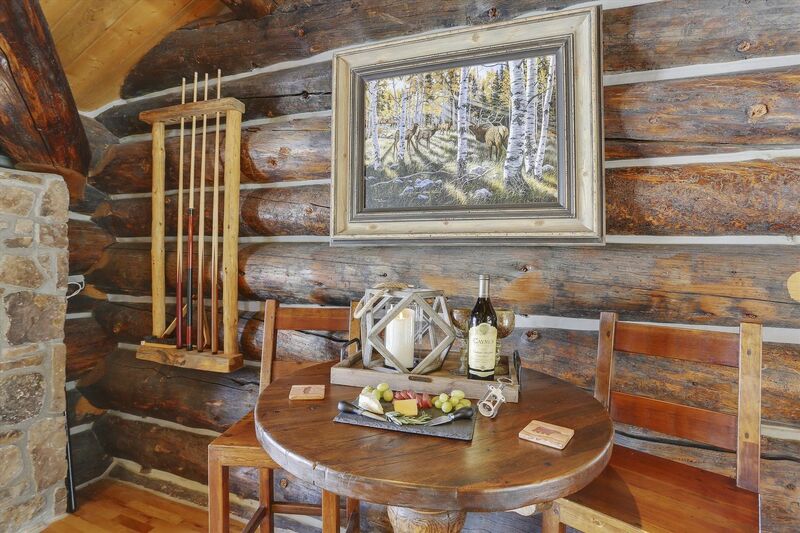 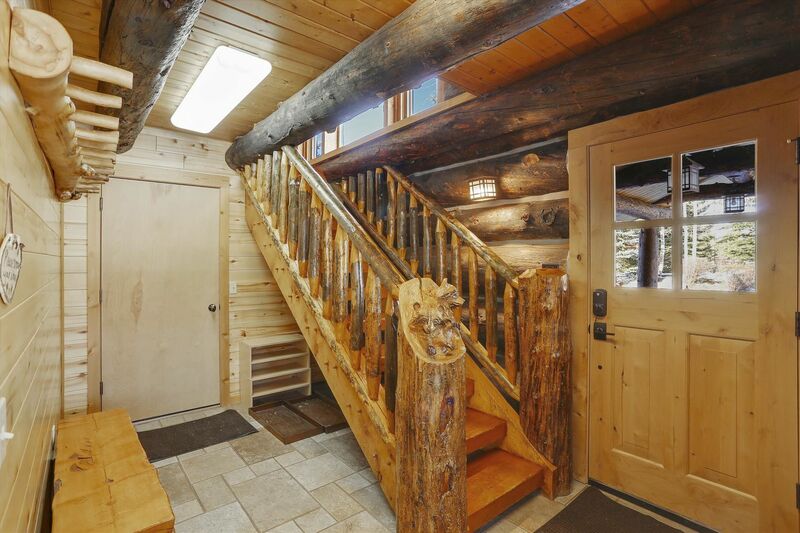 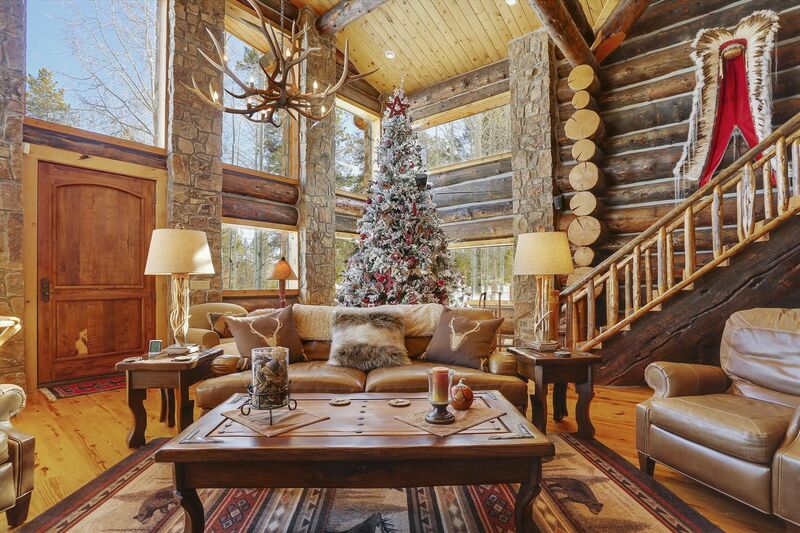 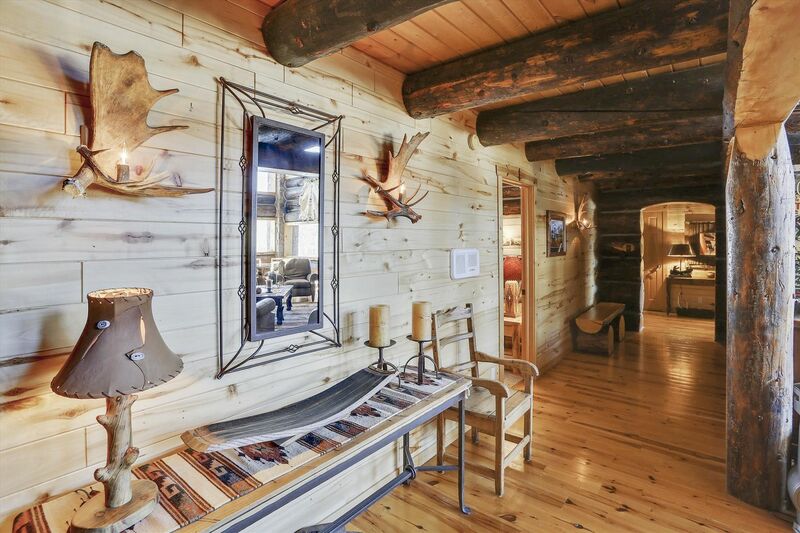 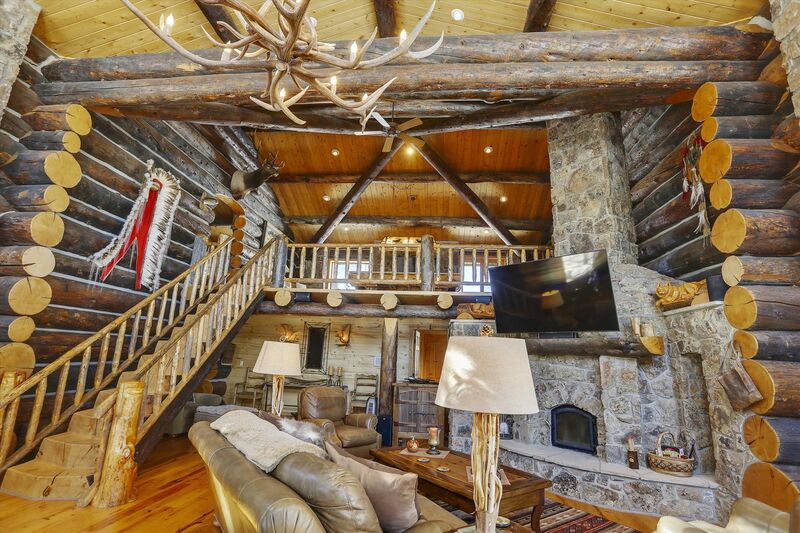 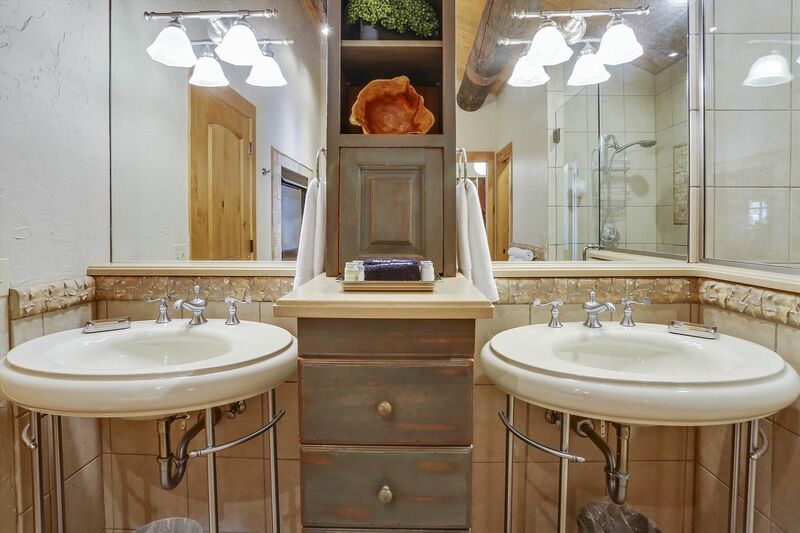 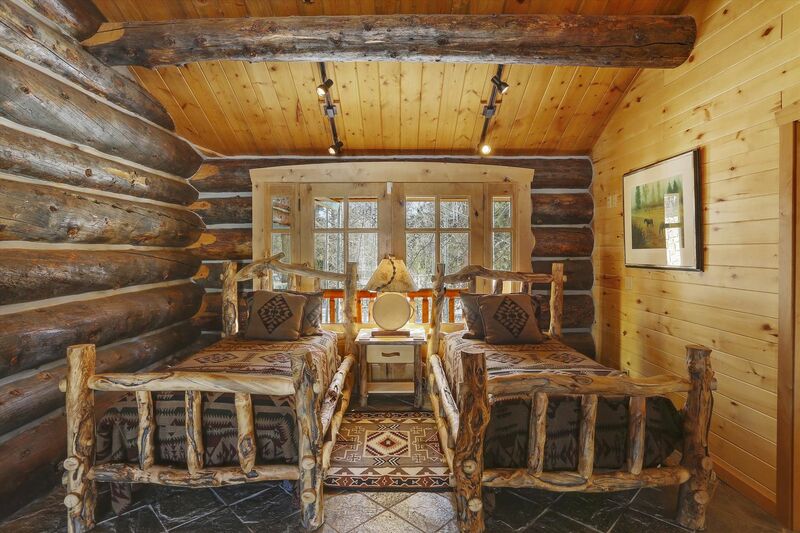 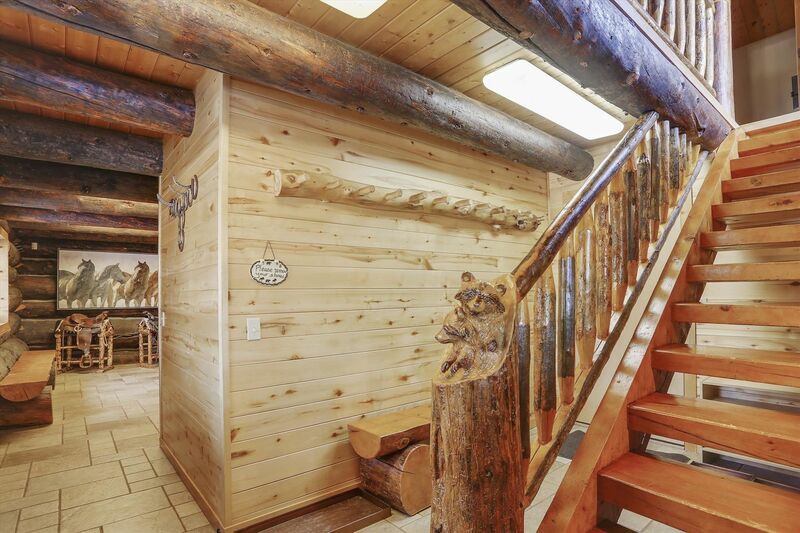 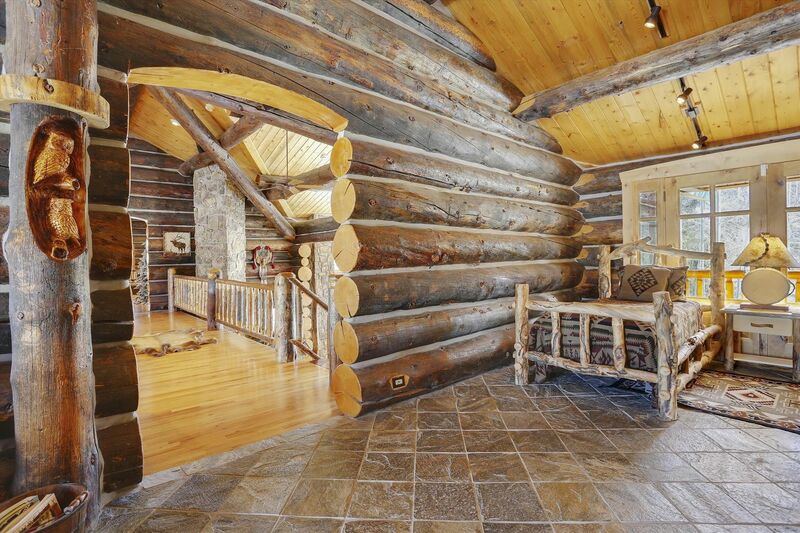 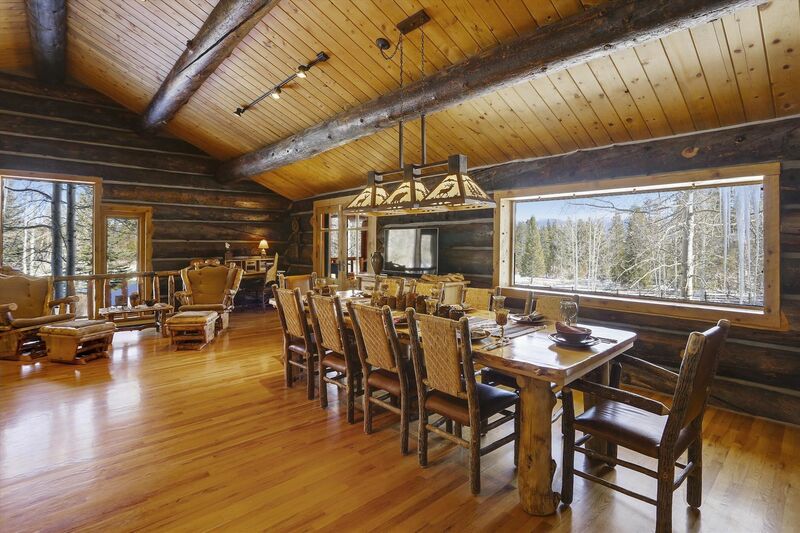 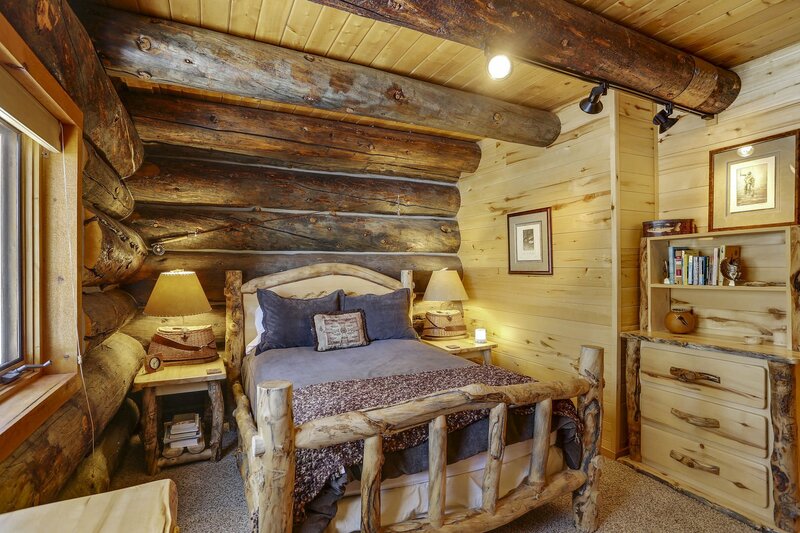 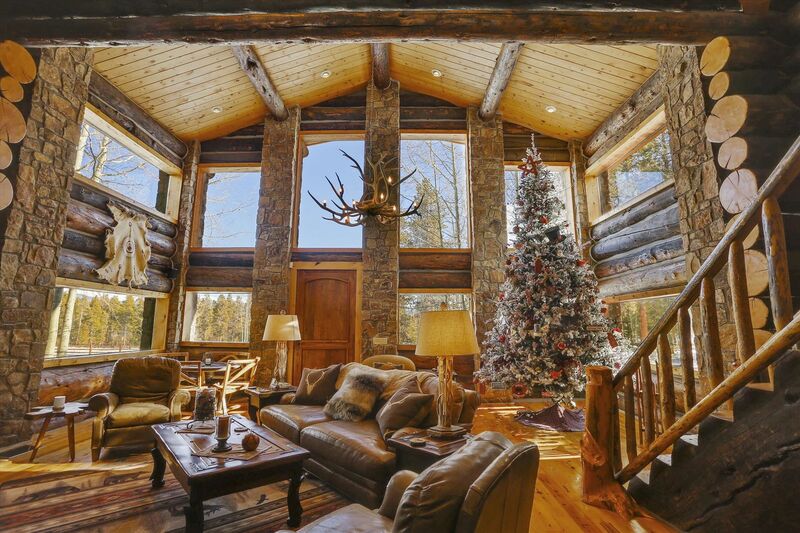 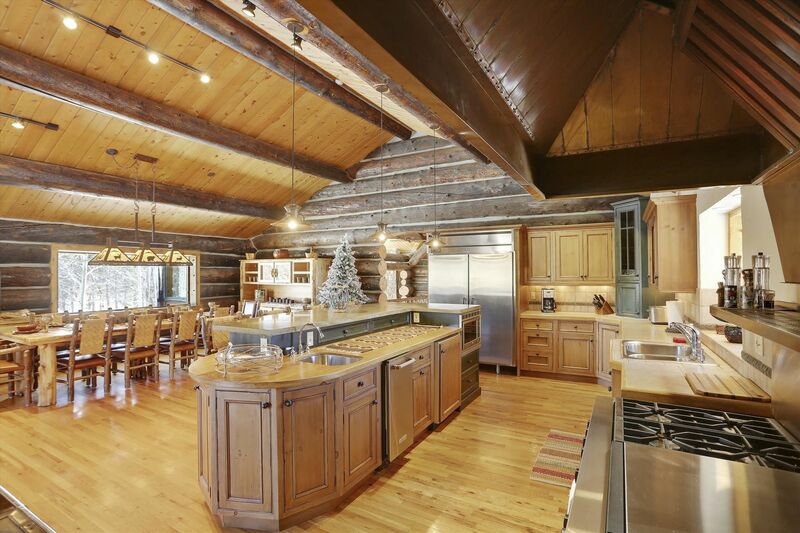 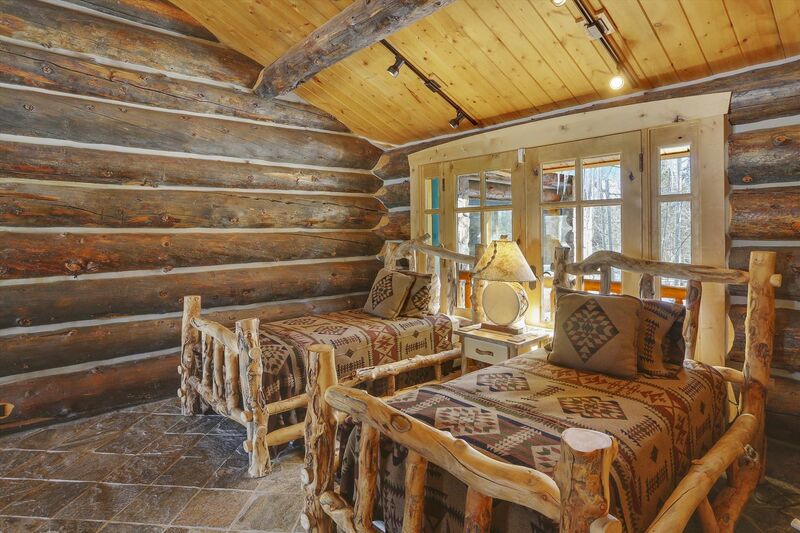 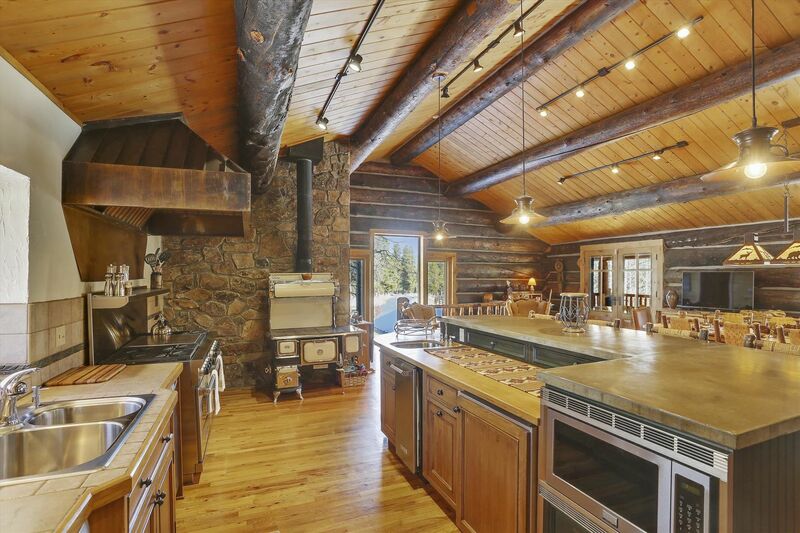 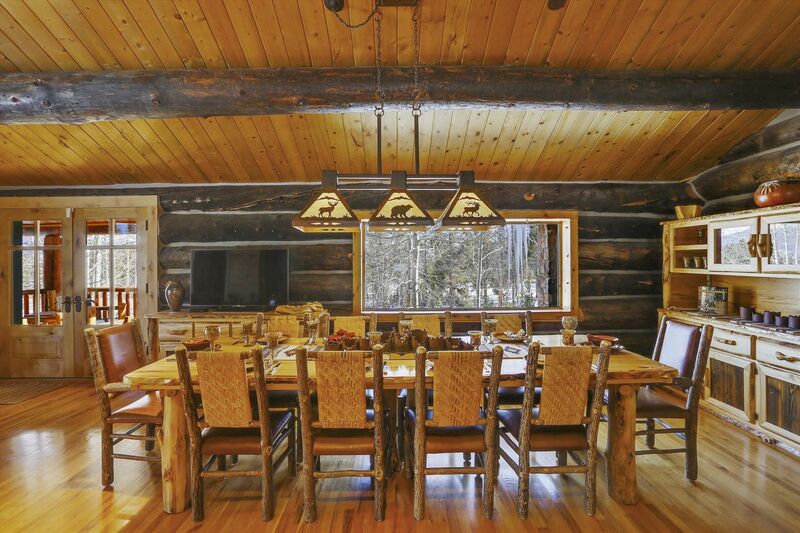 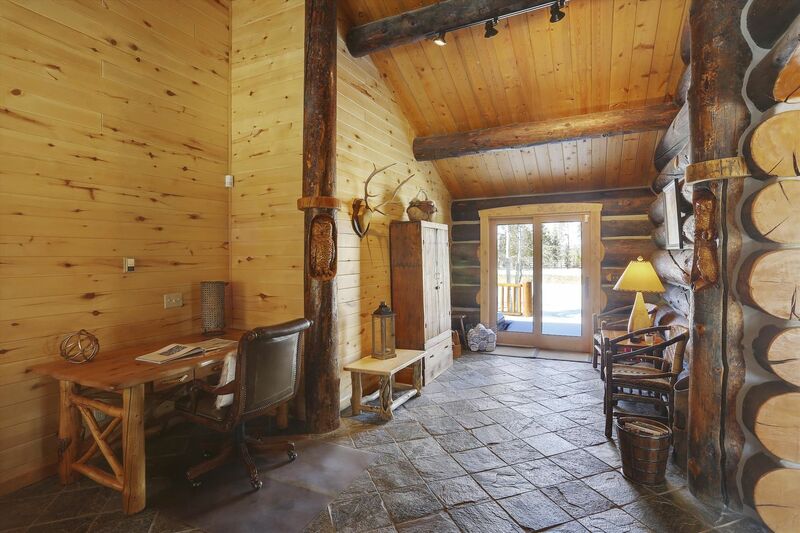 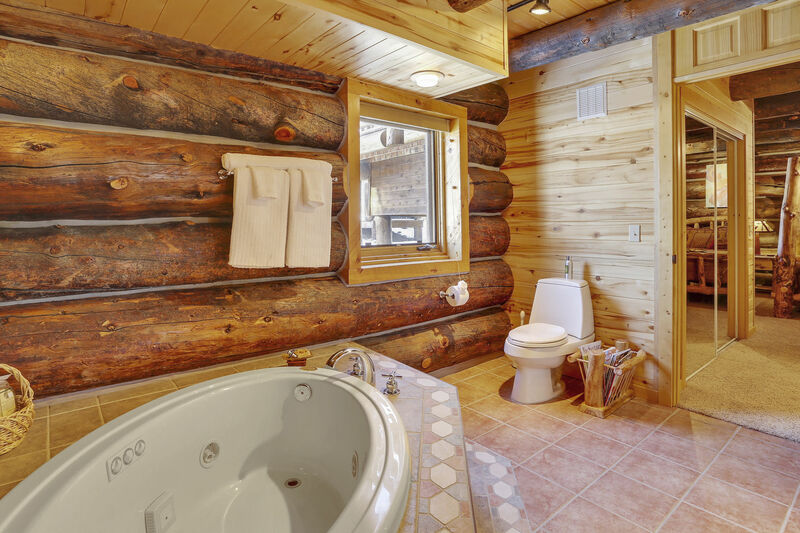 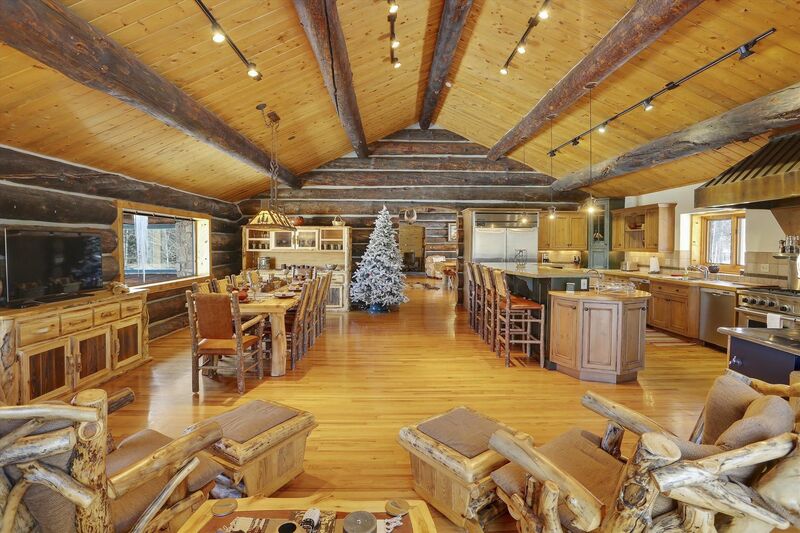 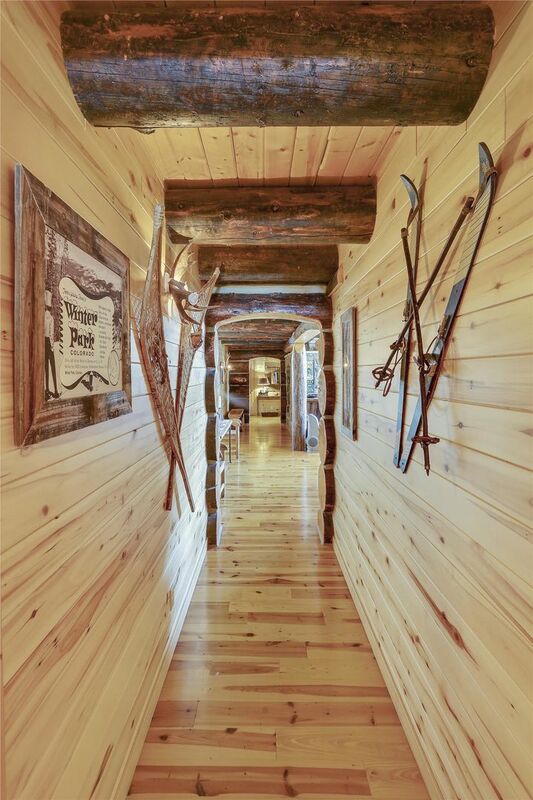 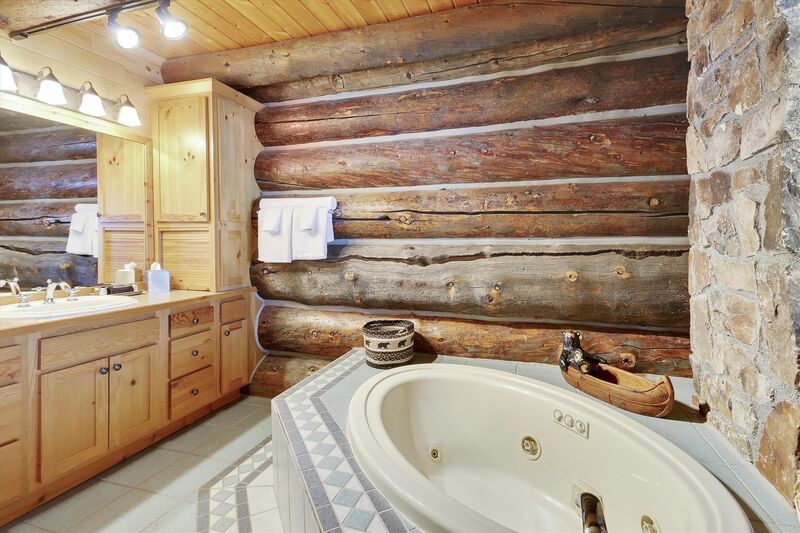 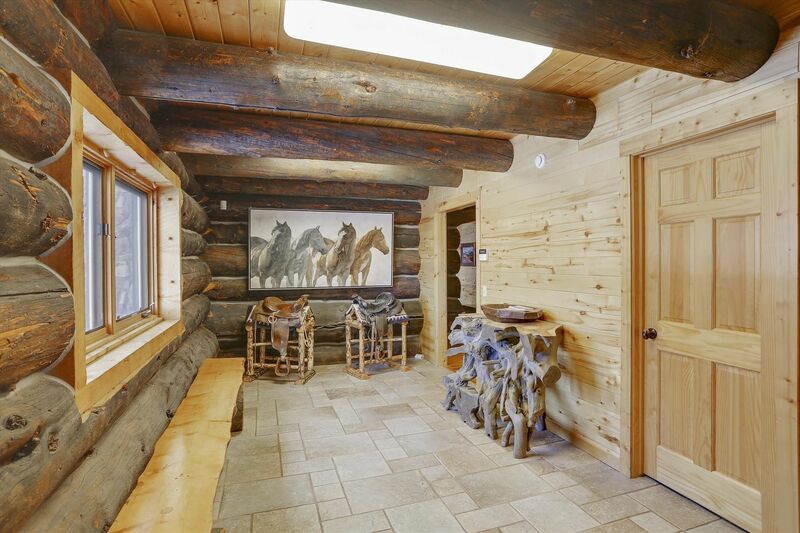 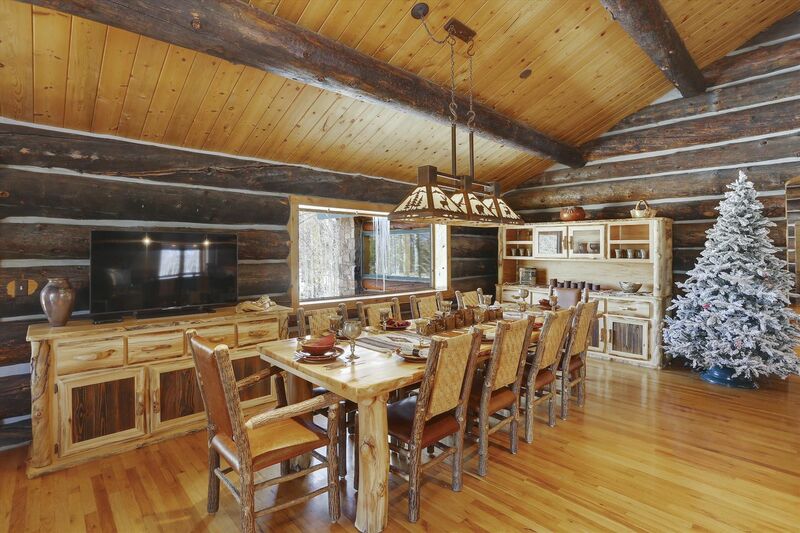 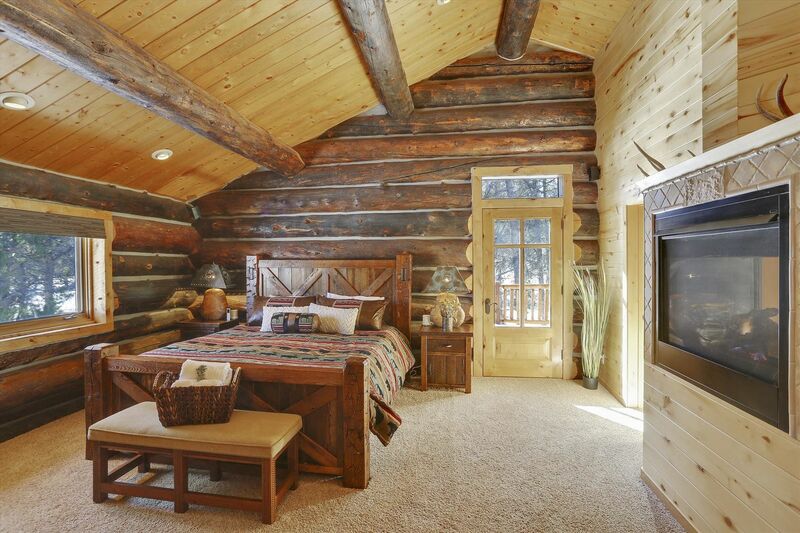 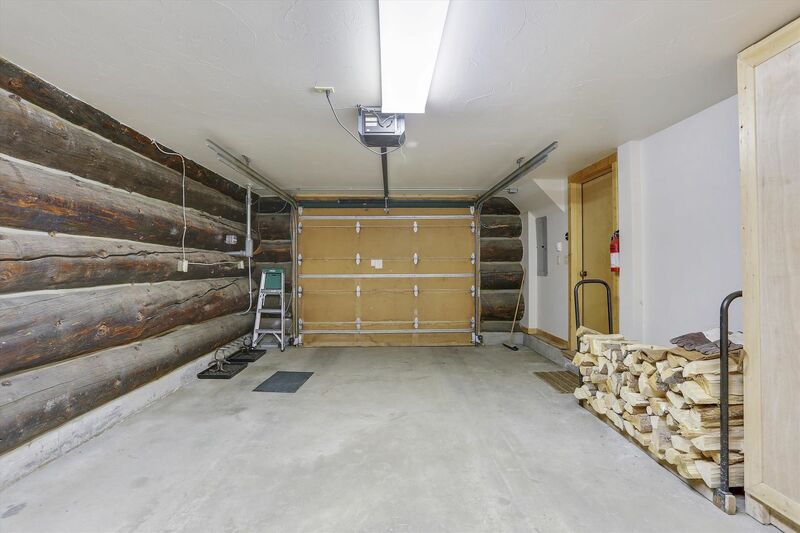 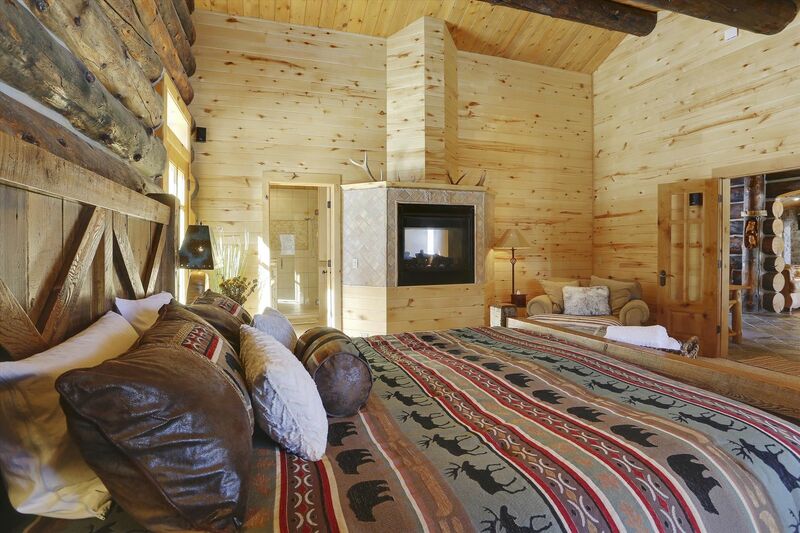 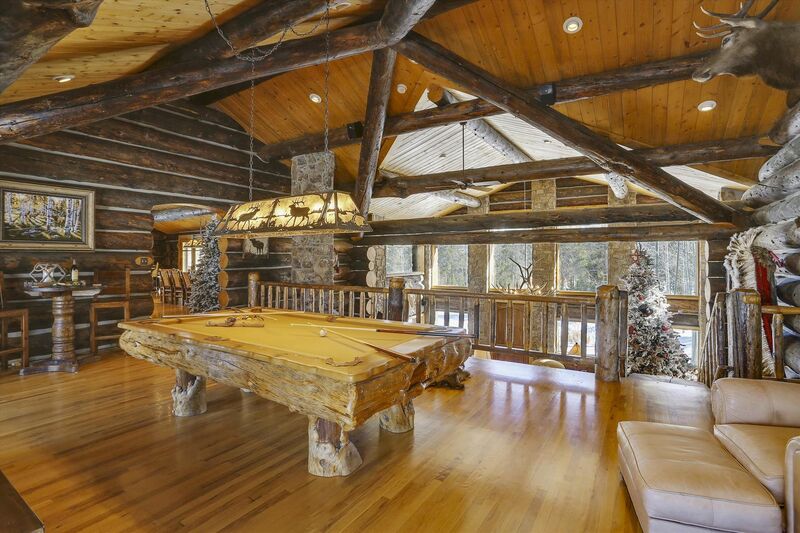 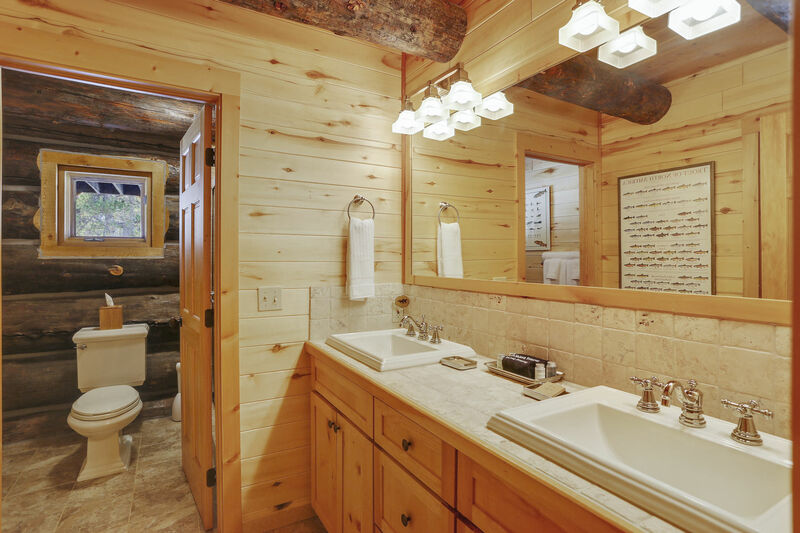 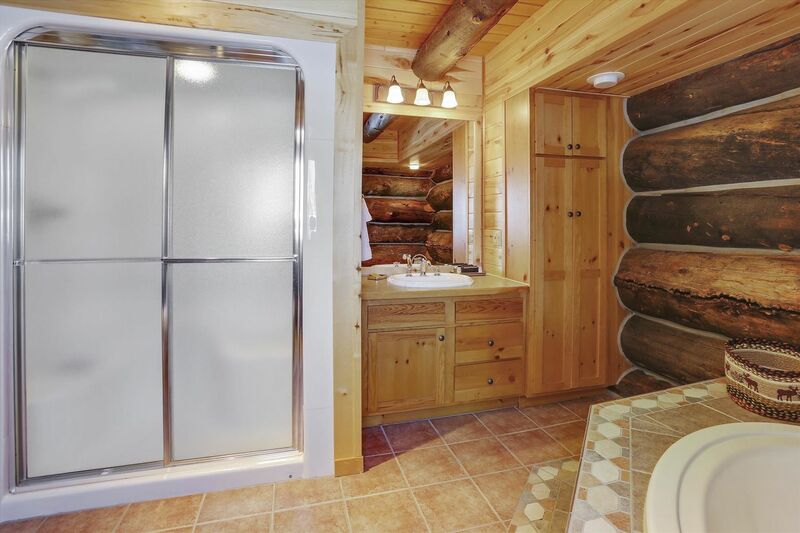 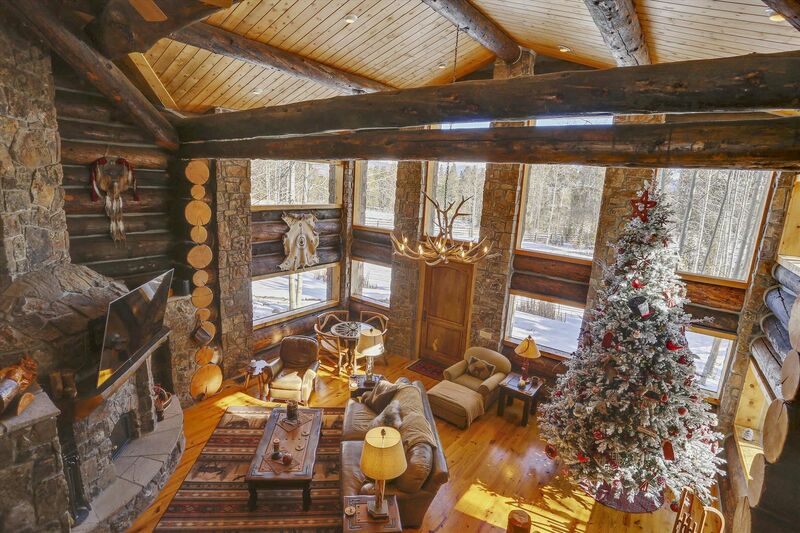 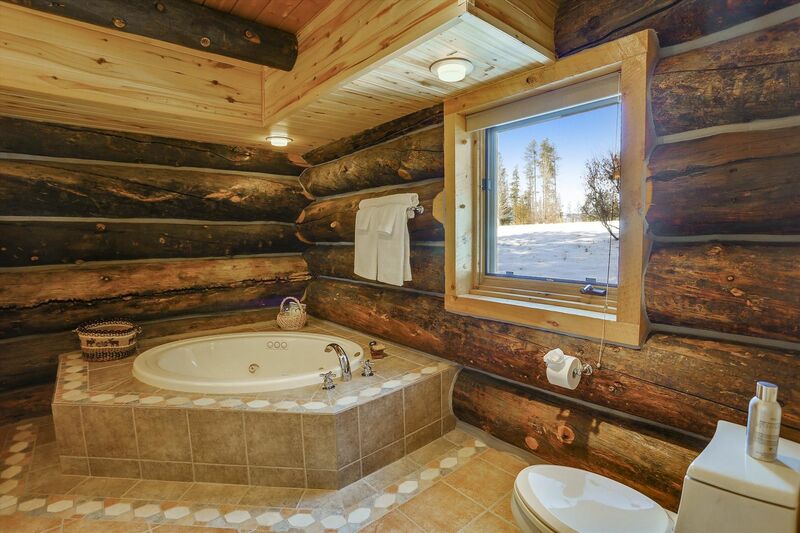 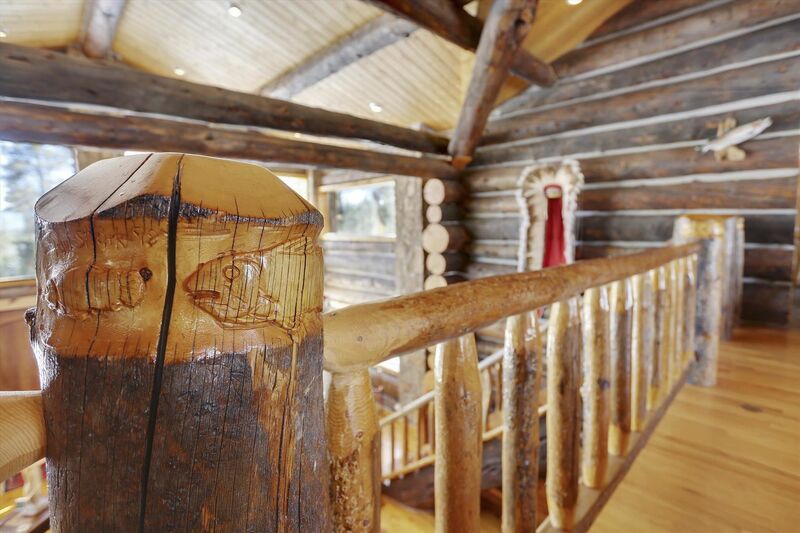 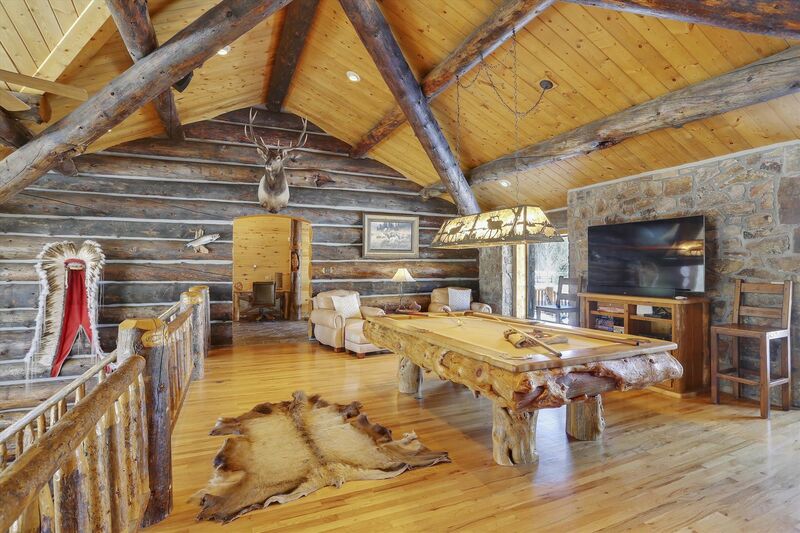 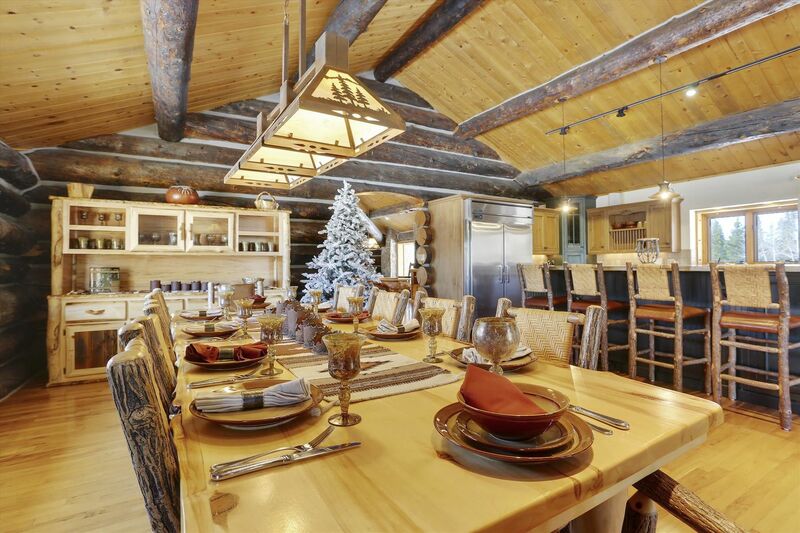 This spectacular custom mountain home is one of the nicest log homes ever built in the area, with incredible woodwork and detailing that you will not see anywhere else. 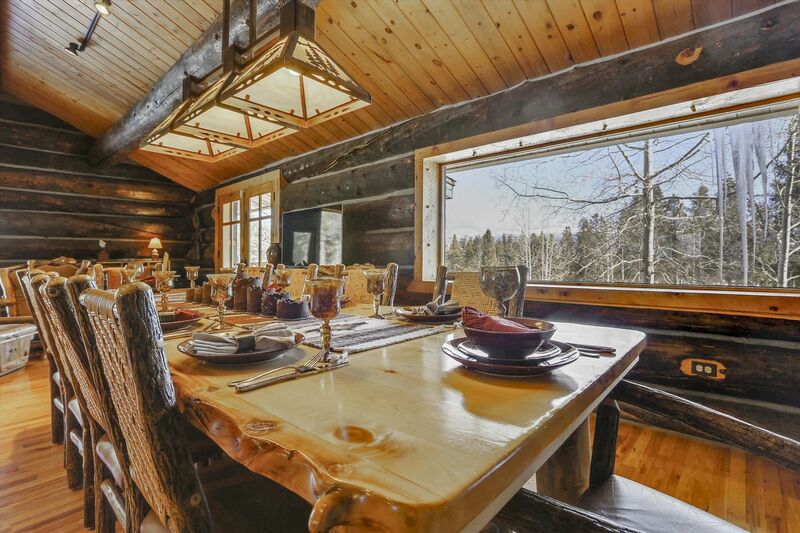 Situated on 20 private acres with 2 ponds and a creek surrounding the house, This one of a kind mountain retreat has some of the best views available as you look out towards the amazing Continental Divide and down valley providing fantastic scenery from every window. 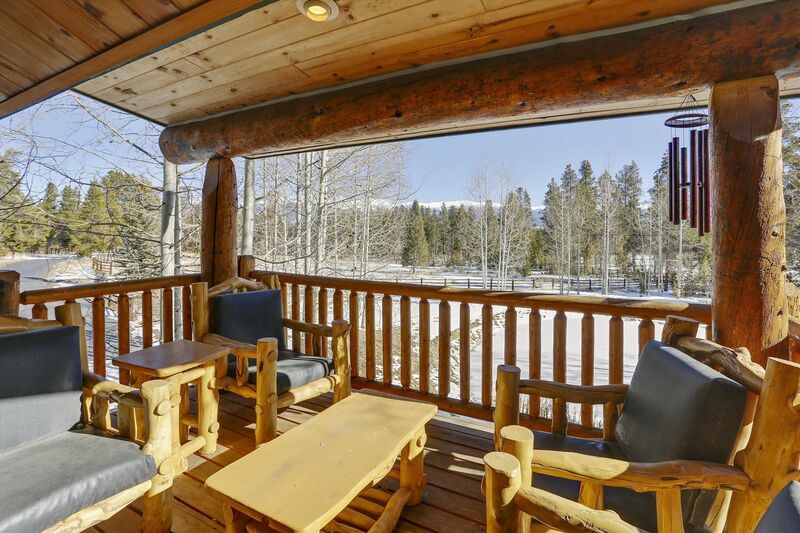 The large rear and side decks provide exceptional viewing for wildlife in all seasons, as you lookout over the beautiful ponds. 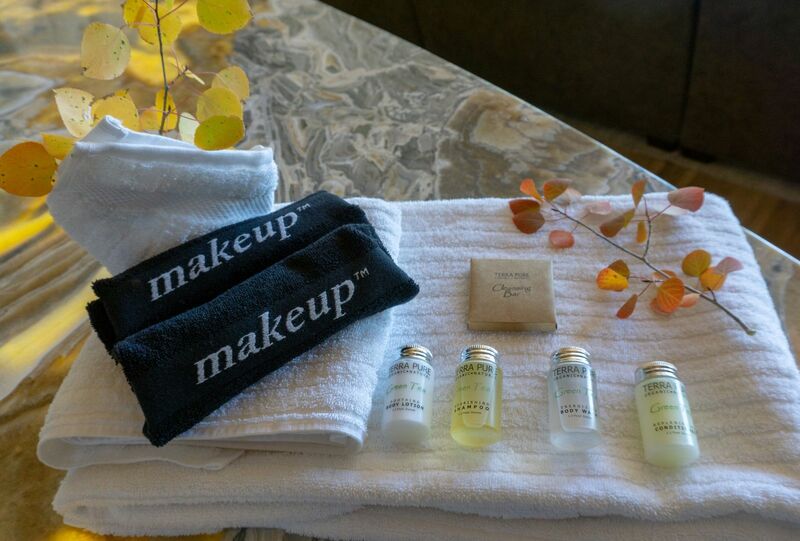 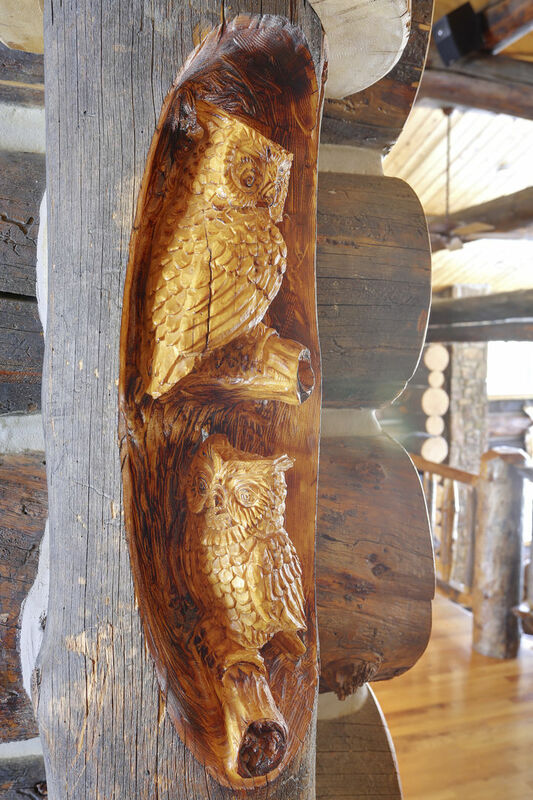 Bring a camera, as various wildlife may be seen all around the property throughout the year. 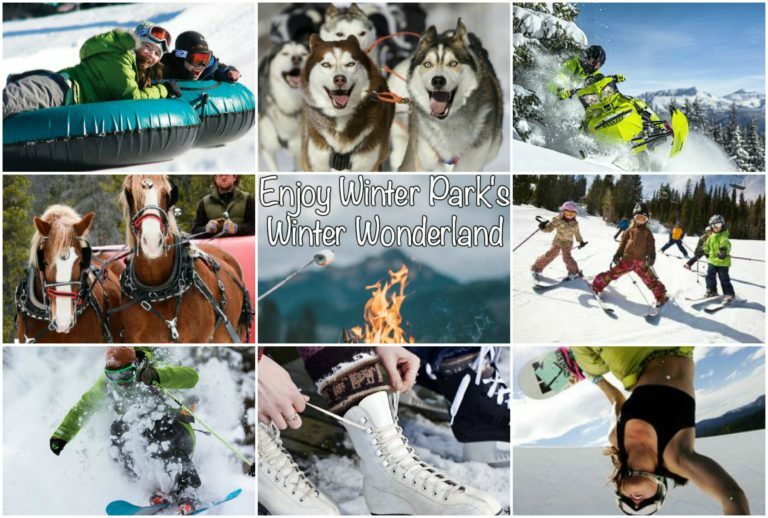 The ranch is only a short drive to the fantastic recreational areas of Grand Lake and Rocky Mountain National Park, and Winter Park Resort is just a short drive away providing fantastic downhill skiing, snowboarding, tubing, fishing, hiking, shopping, dining and the largest mountain bike park in North America. 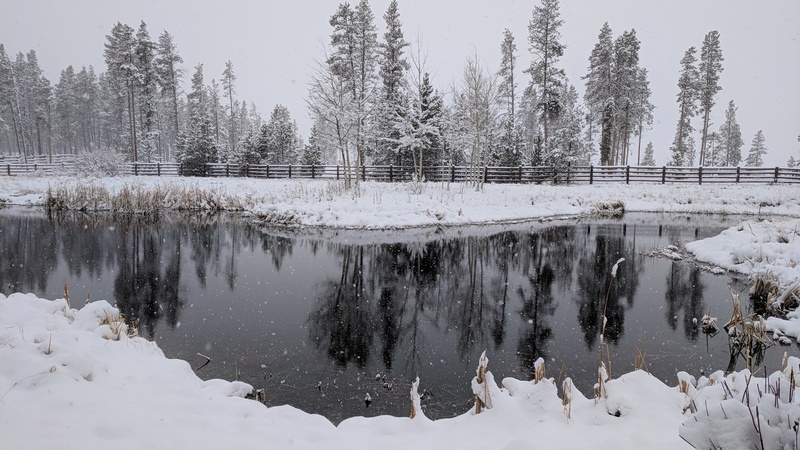 Snow Mountain Ranch is also nearby with several year round activities including indoor swimming, horseback and sleigh rides, winter and summer tubing, paddle boats on a lake, a huge Nordic Center, rope courses, ice skating center and mini golf to name a few. 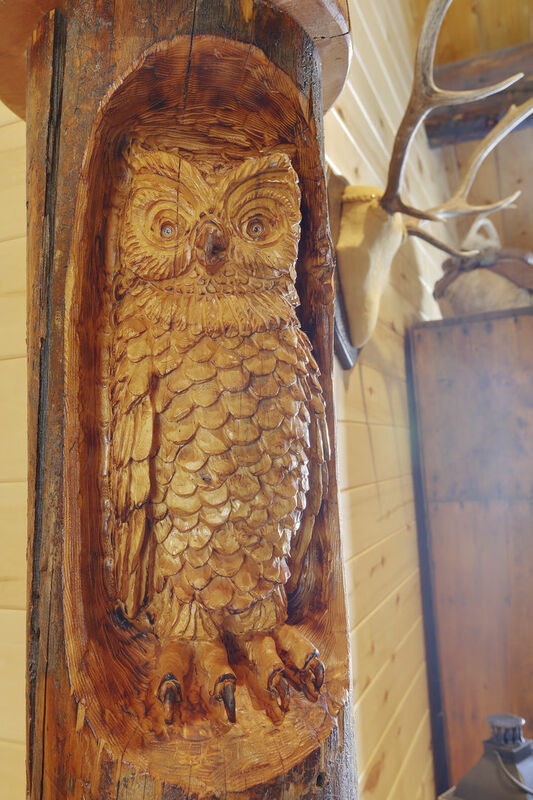 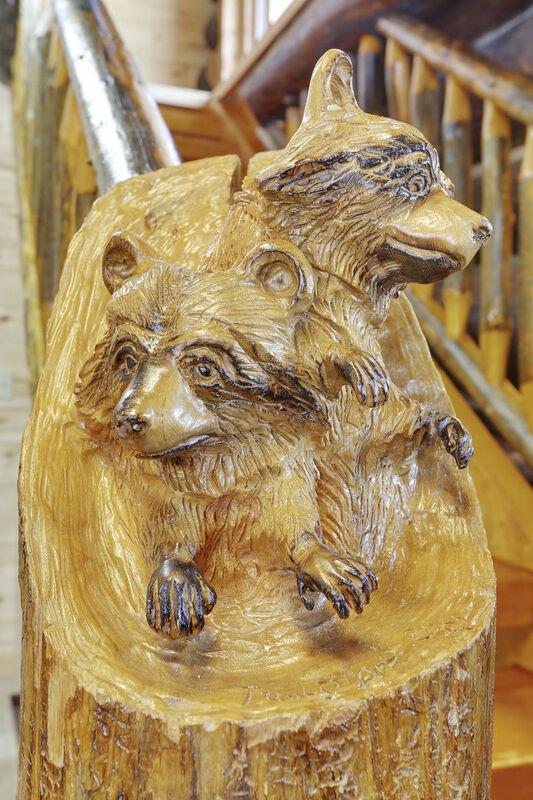 The home has extensive logs and colossal wood beams and ceilings throughout, including several custom hand carved animals in the logs. 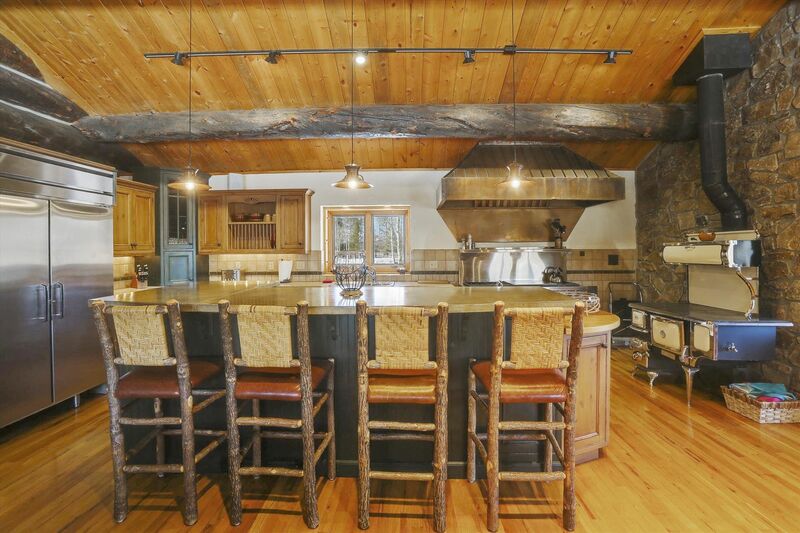 The commercial chef's kitchen includes top of the line restaurant size appliances, huge slab granite counter bar, a large dining area with seating for 12 and an additional butlers pantry. 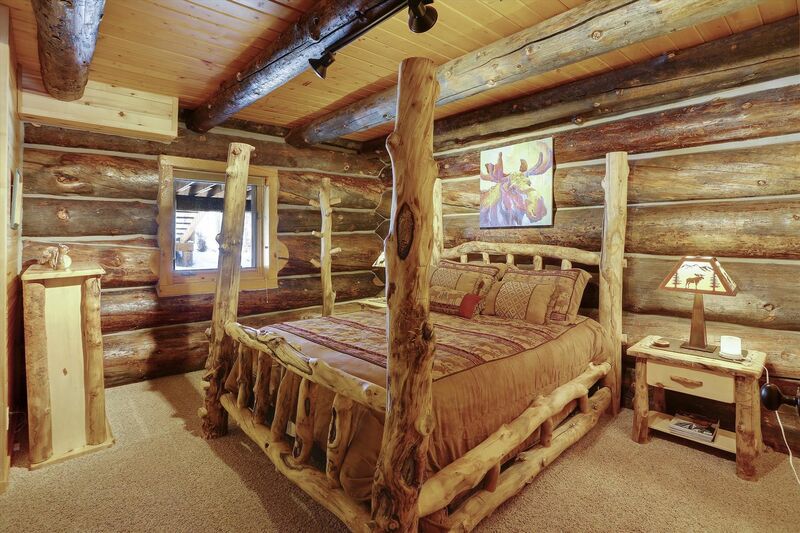 This 5 BEDROOM/5 BATHROOM home SLEEPS UP TO 12 PEOPLE which includes 2 KING BEDS, 3 QUEEN BEDS, 2 TWIN BEDS AND A PACK AND PLAY PORTABLE CRIB. 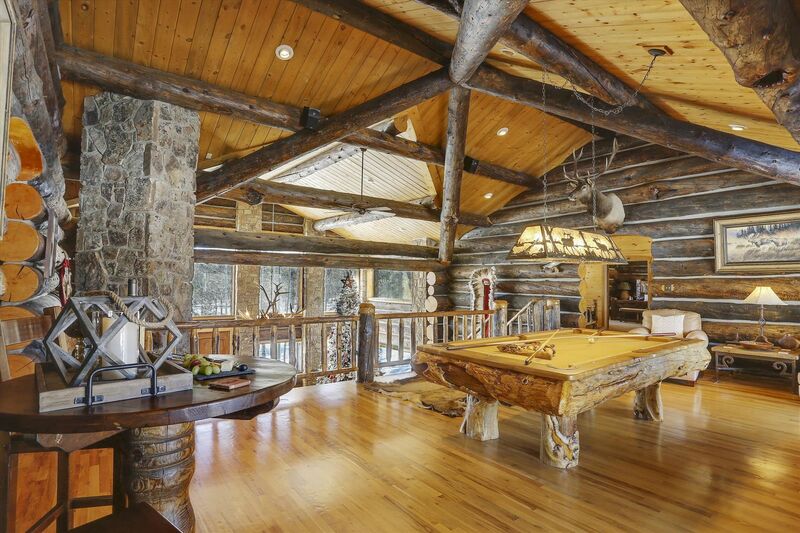 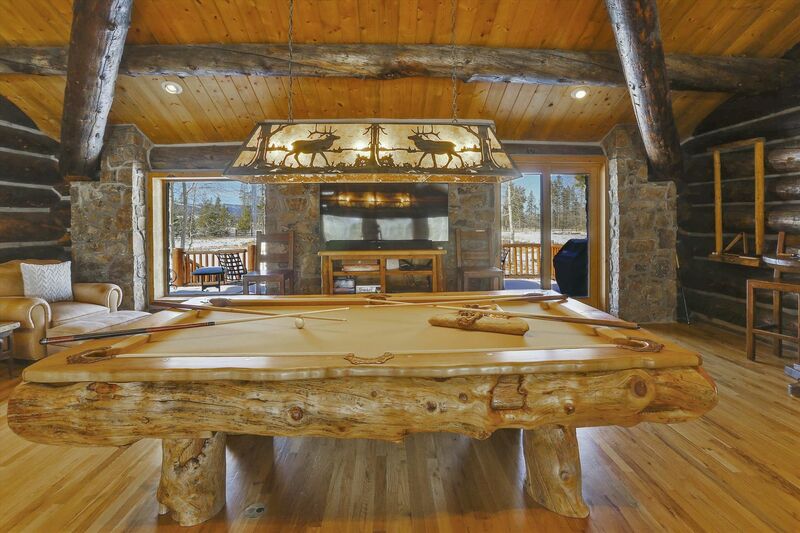 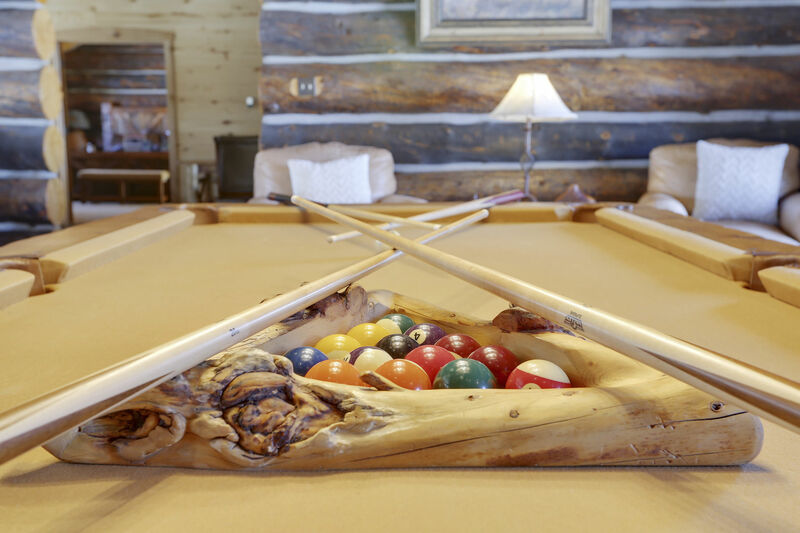 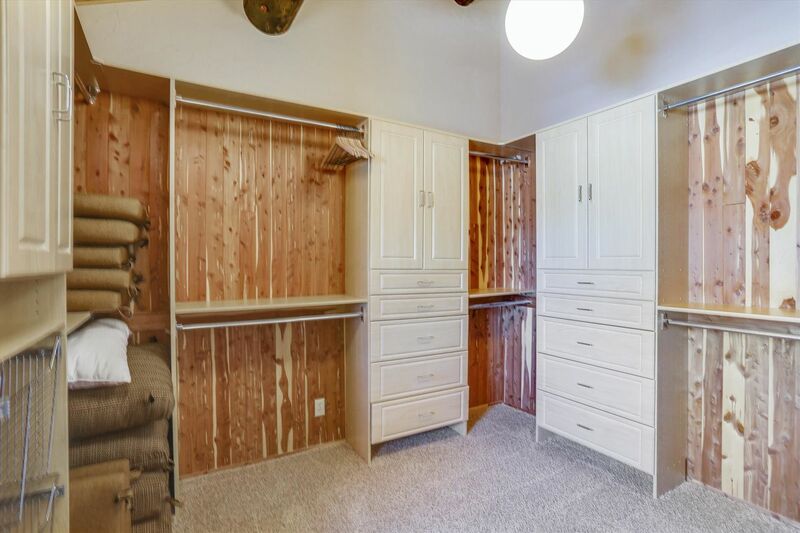 The home also includes a unique game room in the loft area with a custom wood log pool table and ball rack. 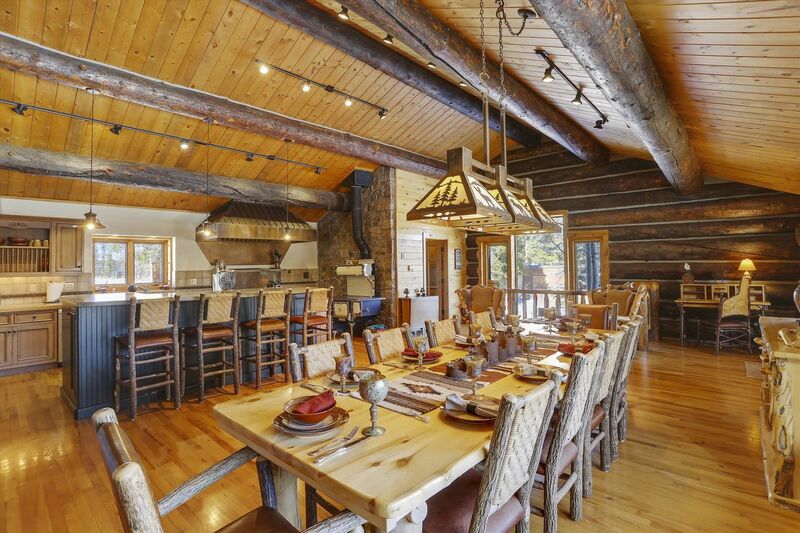 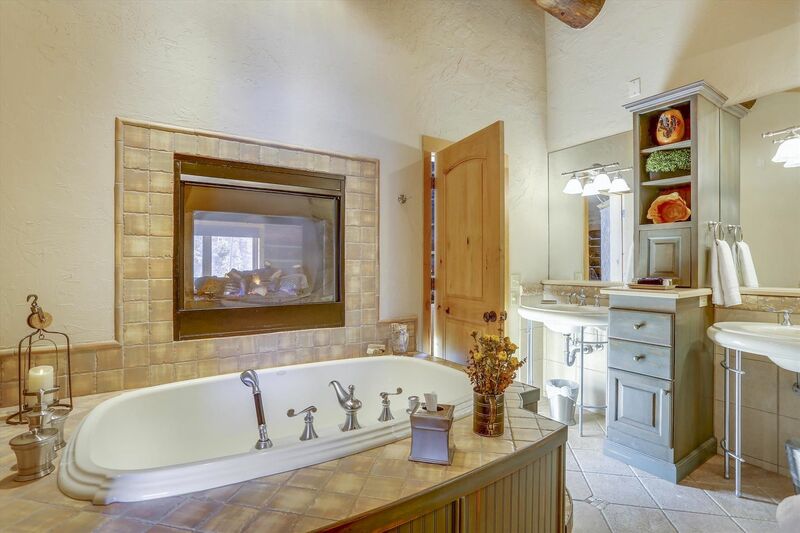 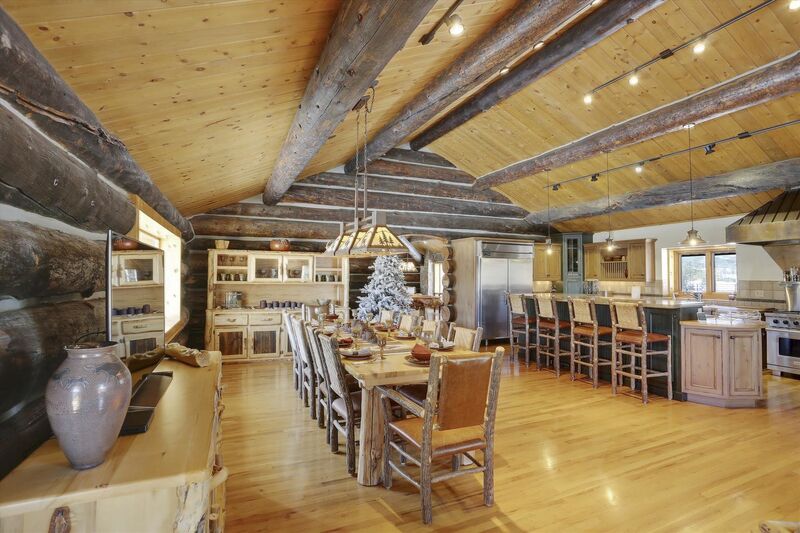 This amazing home is perfect for multiple families to share with rustic custom furnishings throughout. 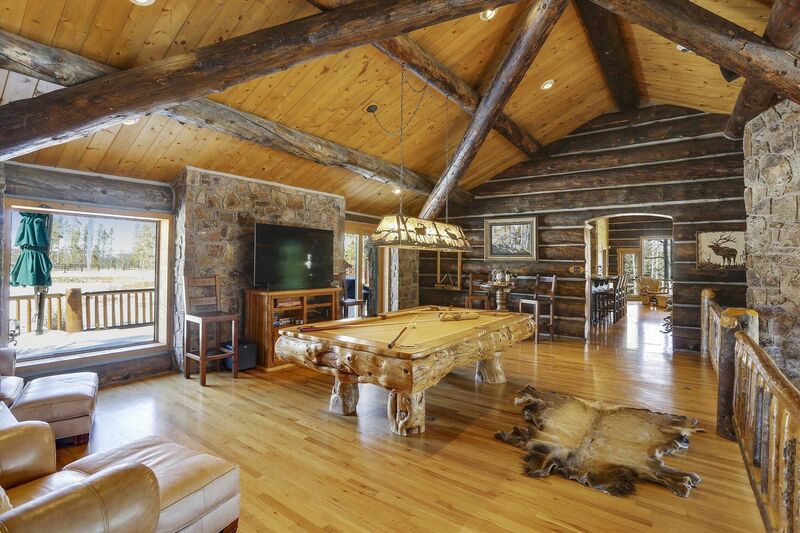 A beautiful 2 story stone fireplace is located in the main living area with a brand new 65" HD TV and home theater. 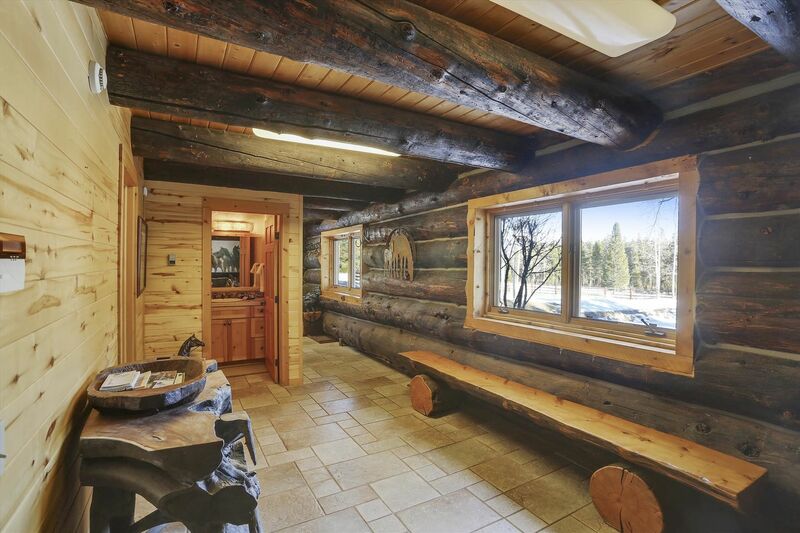 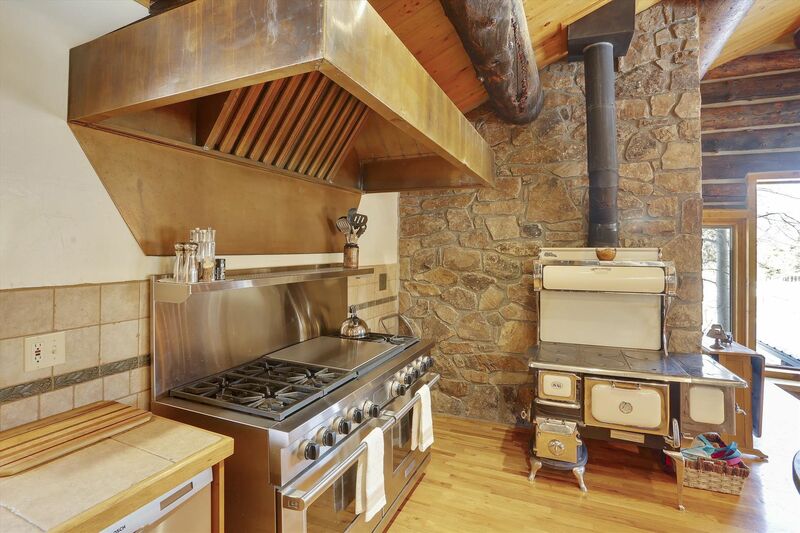 The heating system for this mountain home is radiant in-floor heat, so all the wood and tile floors are continuously warm, which feels great during the winter season. 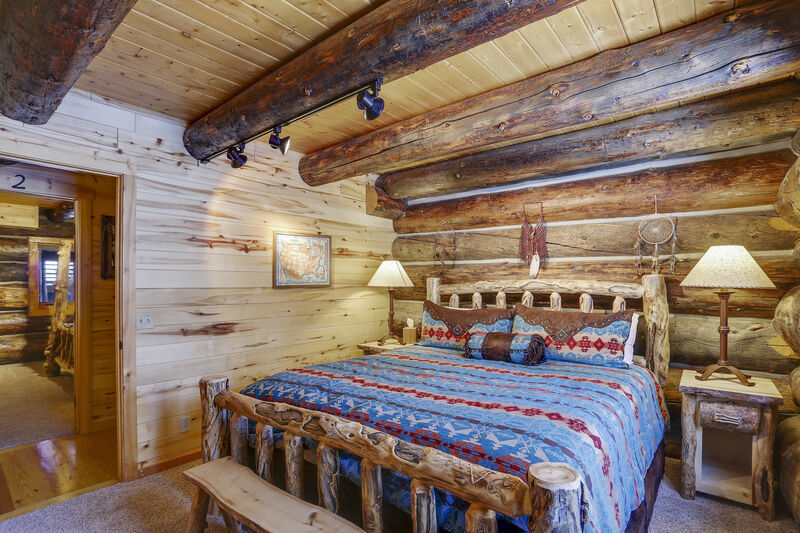 The home is also equipped with ceiling fans, to keep cool during the summer season. 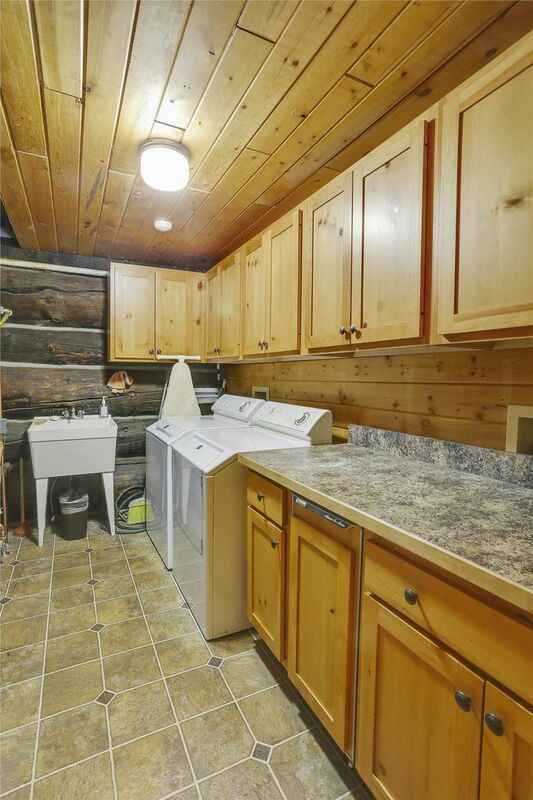 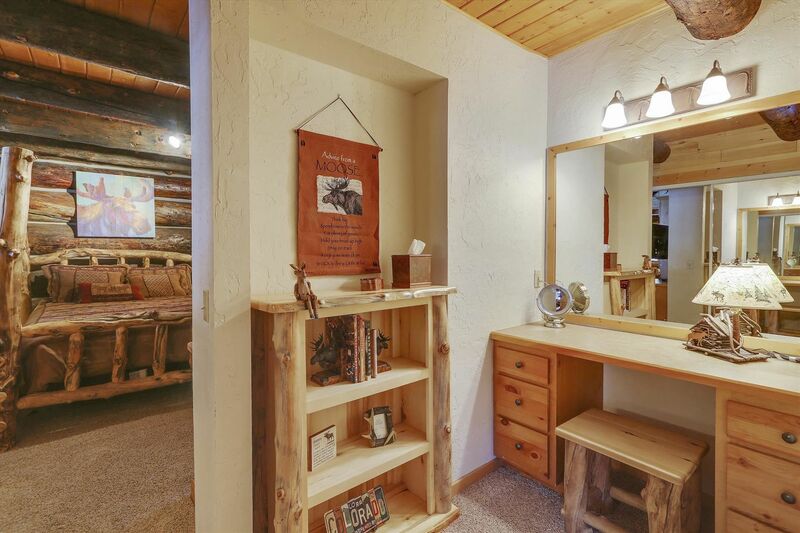 The log home is also very family friendly and provides Smart TV's to stream your favorite online apps including Netflix's, Hulu and Youtube, several board games, puzzles, toys, bluetooth speaker to stream your playlists, highspeed wireless internet, pack and play portable crib, and a booster chair with tray. 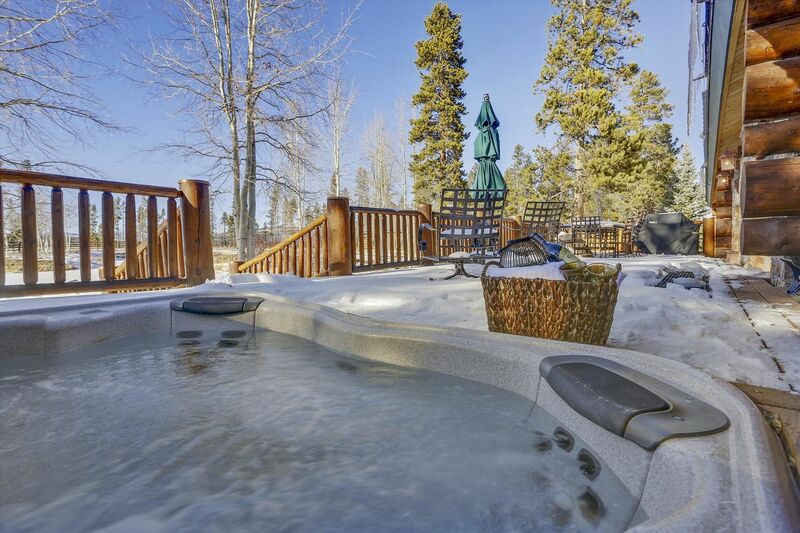 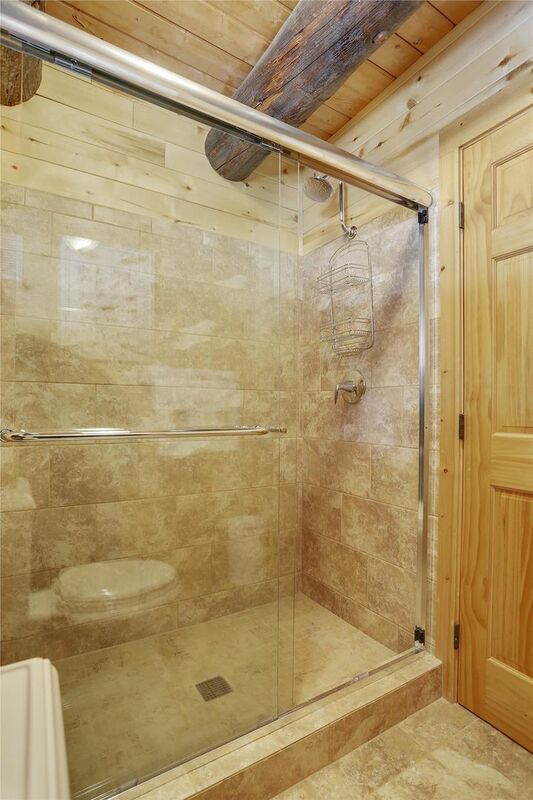 A large hot tub is built into the rear deck with amazing views, and includes new patio furniture and a gas grill. 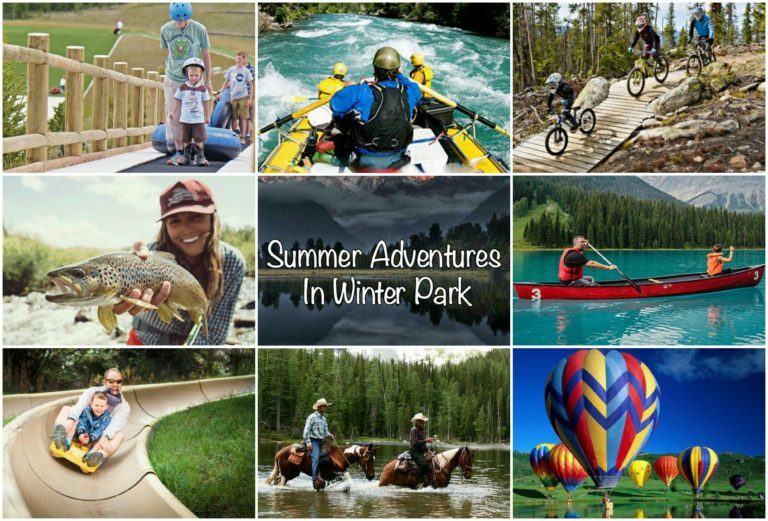 The downtown Winter Park area is also nearby with additional mountain restaurants, shopping, night life and various scheduled events and concerts in the Town's new Hideaway Park amphitheater. 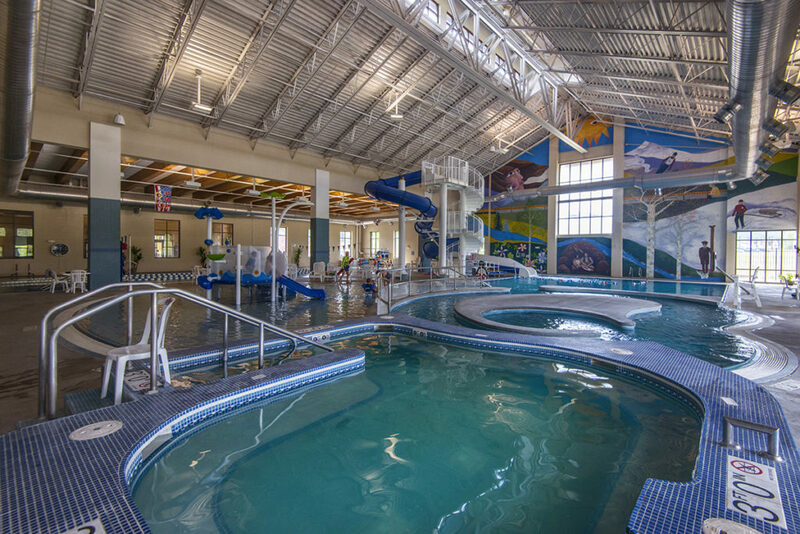 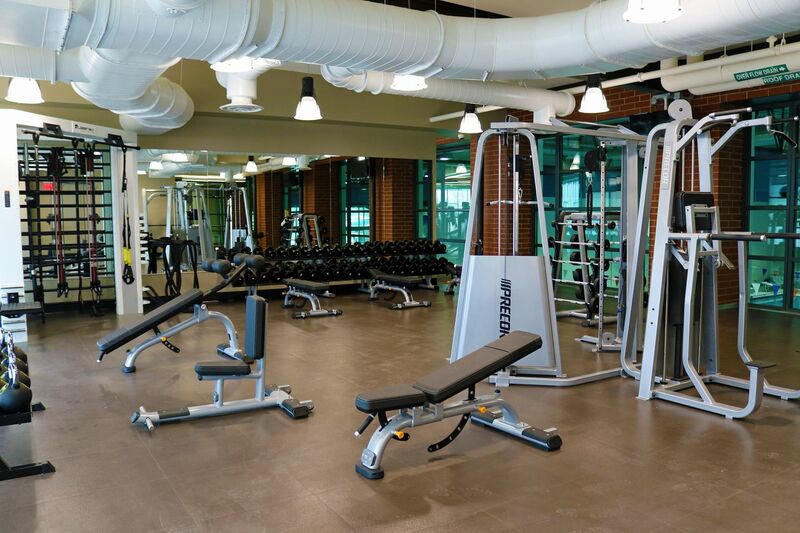 The downtown also includes the Grand Park Rec Center with multiple swimming pools, waterslide, full gym with indoor track, huge rock climbing wall, 2 gymnasiums and a children's playground. 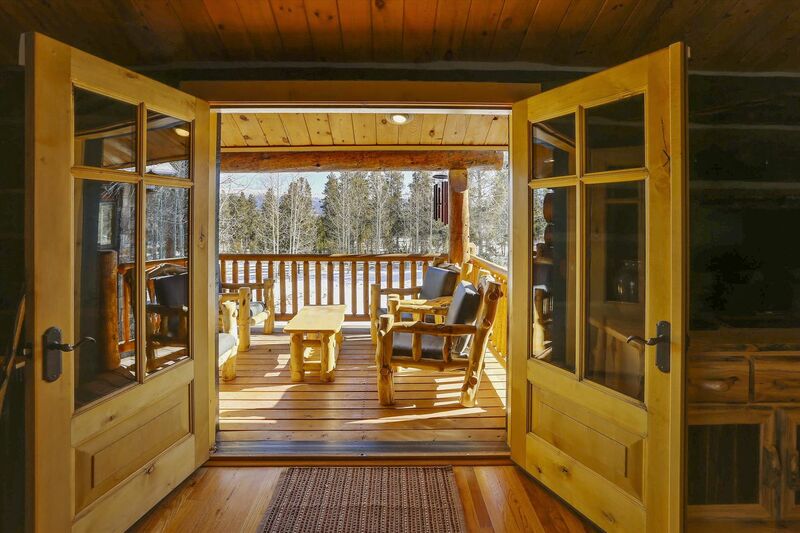 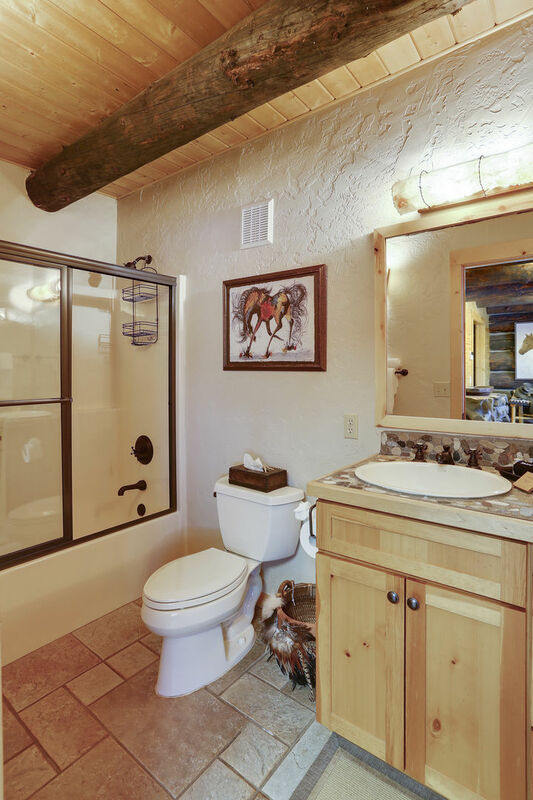 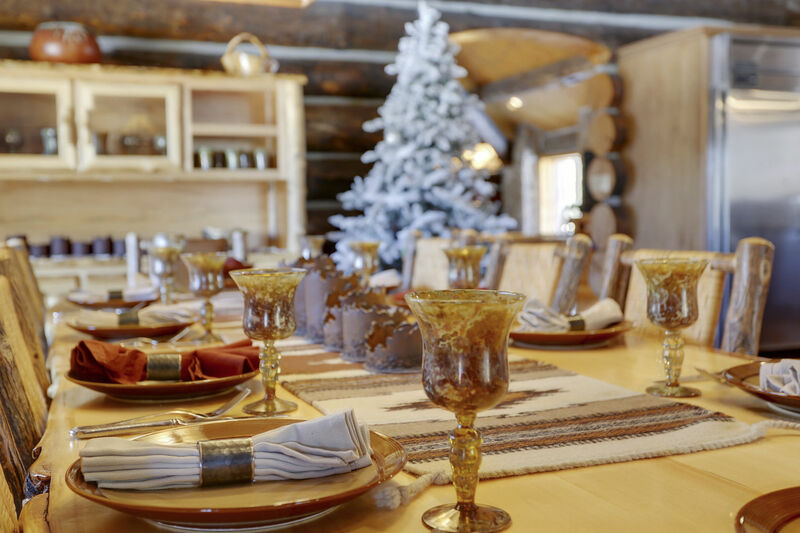 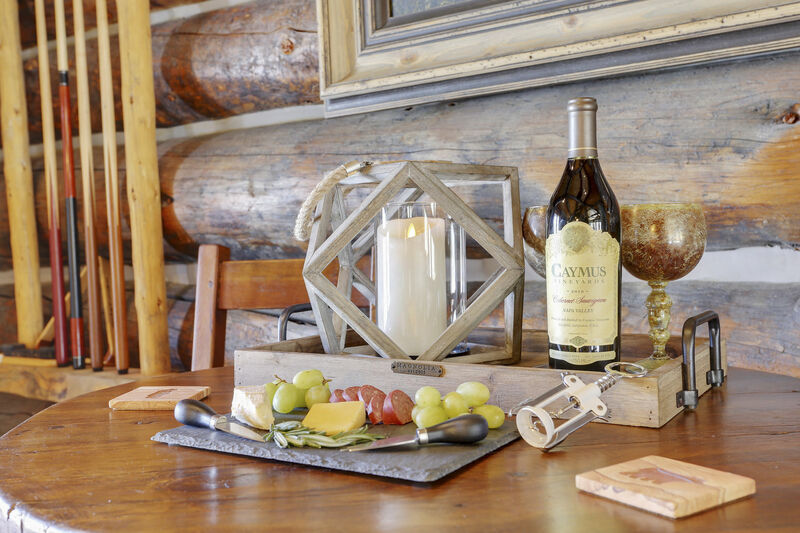 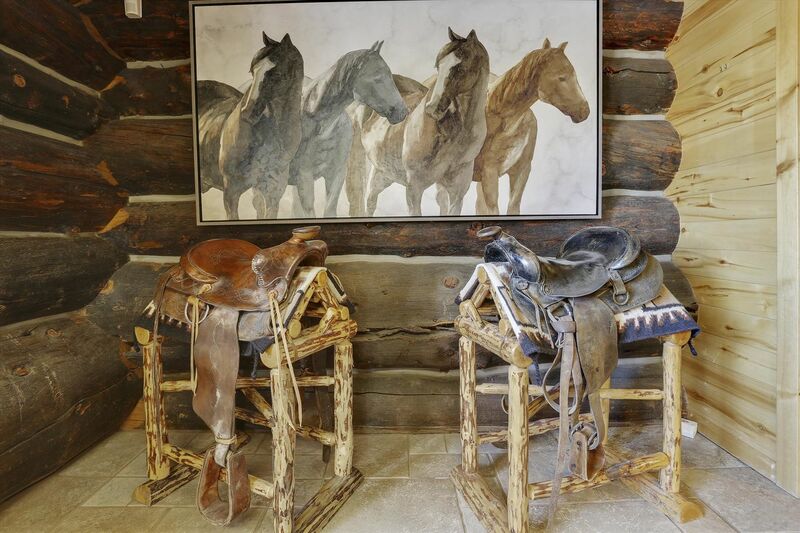 Regardless of what time of the year you decide to visit, or how to spend your time here, this exceptional vacation home will serve as the perfect jumping off point for all of your Colorado adventures!